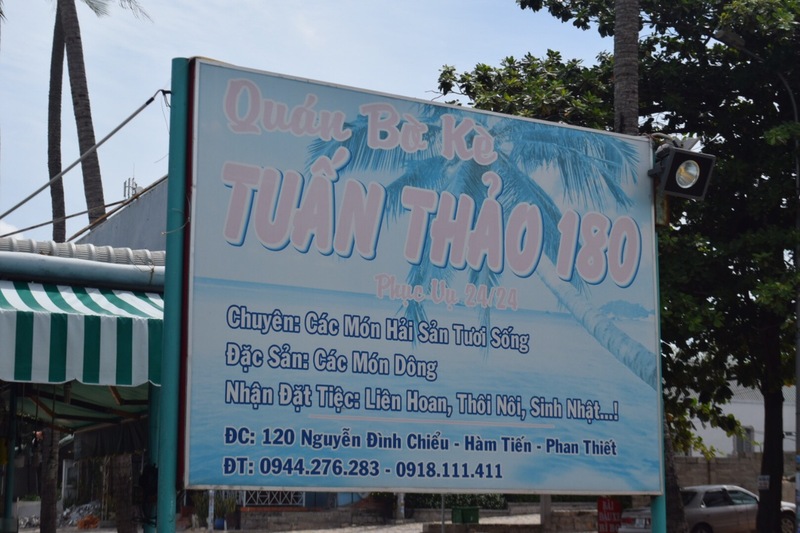 It’s a beautiful day and the team we’re all excited because we are heading to Mũi Né a coastal fishing town in the Bình Thuận Province of Vietnam. We decided to have a day trip. It is my first time here and I only know we are going to a hot and dry “desert” place that looks good photos. I’m looking forward to take decent photos of our trip. We left HCM at 7am in our hotel , after an hour of driving we stopped for breakfast. Then after that another scenic 3 hours then we reached Mui Ne. Our van was nice and comfortable. We brought lots of snacks to last 5 hours of road trip. We sang songs, cracked jokes and zzzzz slept a lot too. Glad summer had a great sleep last night as she totally in good mood. No whining at all. At 9:30am she already fell asleep on her own. 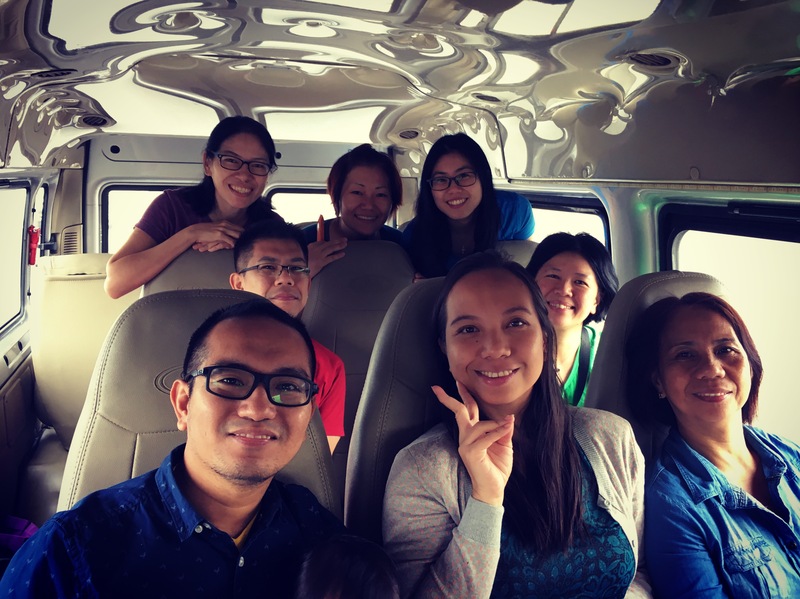 We hired a van tour that will bring us to Mui né – a 13-seater van to fit all. It cost us 195 USD for 10pax. 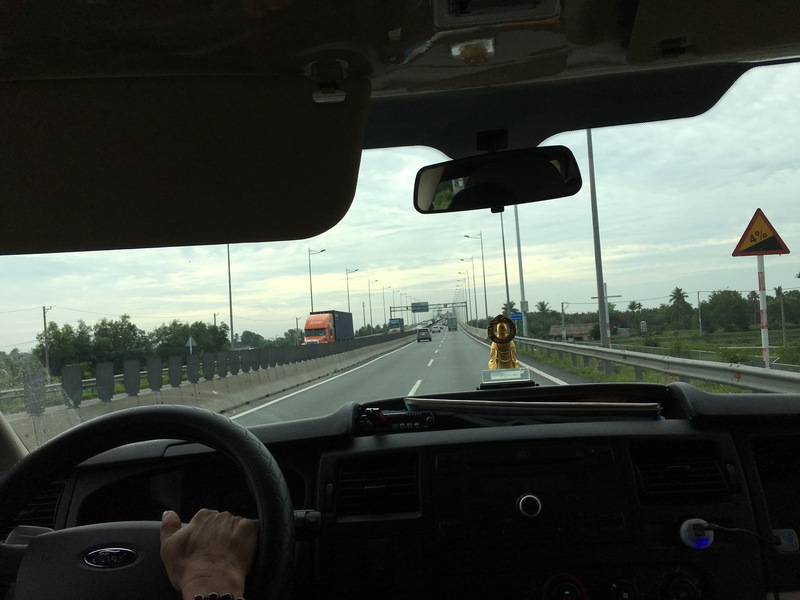 Our driver is the greatest overtaker so we are always ahead of schedule . First stop SEAFOOD Lunch! This place is highly recommended. Nice view and great sea food. The weather here is not so hot and humid like HCM. It is hot but windy. 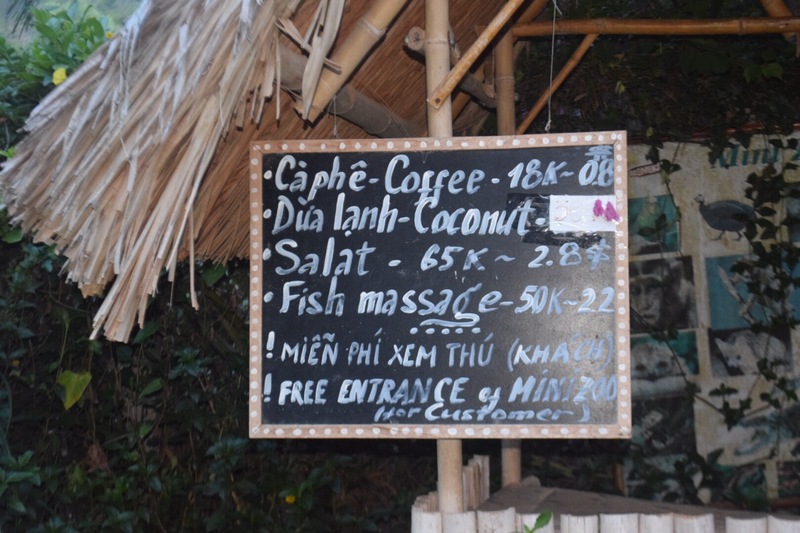 Mui Né is famous for their seafood so you should try it when you’re here. It’s yummy! My mom and hubby lovin their jeepney ride. Green is cool right?? This is our lunch view. Plus imagine a very strong wind blowing against my cheeks. No wonder this place is famous for their windsurfing and kite flying. Too bad didn’t have the chance to try it out. I’ll be back for sure. After lunch, we went straight to White sand dunes and man the view was amazing!!! We drove along the beach with our cool jeeps. It was so beautiful! Don’t even know that this place exist in Asia. I felt like I’m in the Middle East or something. Me trying to drive the ATV for the first time!! Super fun you must try this one! I screamed like I’m giving birth lol. I’m grateful to travel with my husband all the time. Me striking a pose while holding my hat because the wind was too strong. Lovely amazing view up there but the sands are everywhere because of the wind. We needed to put sunglasses 😎. There’s Norah one can survive being there for 5 minutes without one. Also one thing I learned was that I needed to wear long pants or tights and a Long sleeves the next time I will go. Why? Because it’s like a sands storm in there. 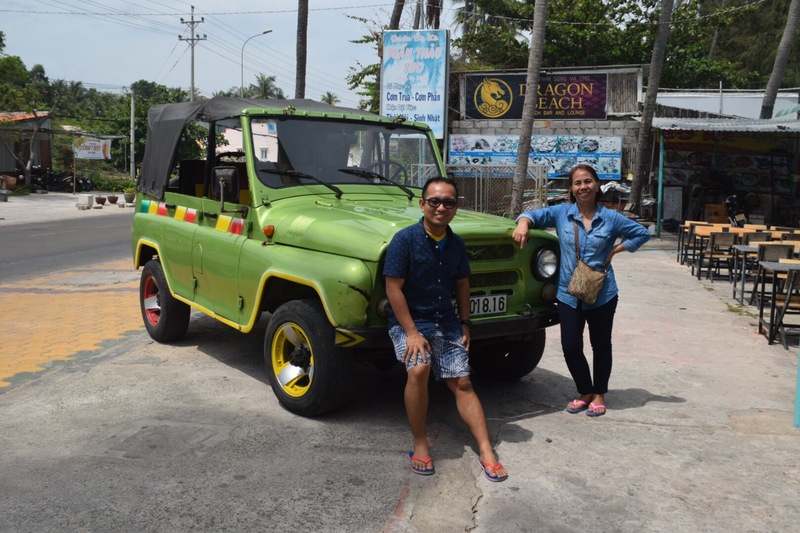 So if you are not brave enough to drive the ATV, you can opt to ride these black jeepneys to the sand dunes. Saw this nice pond below the white sand dunes. Summer was taking her nap when the time we are in the sands. At first I want to bring her up there in the “desert ” but we decided not to since she’s sleeping and not sure if she can take the sands. True enough, the wind was super strong and its like raining not water but sands. Definitely not for toddlers much more not for babies. My mom and her ended up resting with these hammocks . We needed to pay 10,000 dong or about .50 cents USD. Love it! Thank God for hammocks! You can find hammocks everywhere in vietnam. 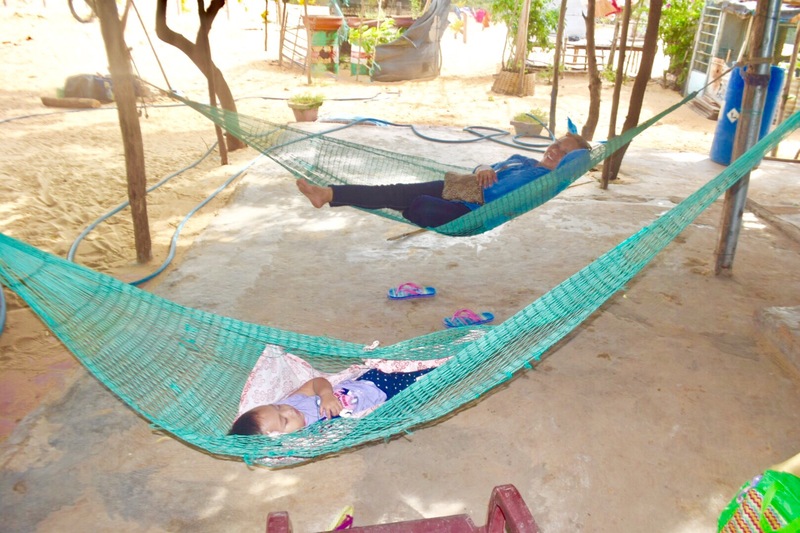 It’s very common as Vietnamese love to take naps and thats amazing! So the red sand dunes is much smaller than the white. You don’t need a jeep or an ATV here .Just walking will do. The main activity here will be Sand Boarding. Since the wind here was not like the white one, not as strong too we figured it is kids friendly. So Summer can join us. Yay! She’s so thrilled playing over the unlimited red sand. Summer had fun playing and running in the sand. She found a little cup and put sand on it, pour it again and again. ok im tired now, let me sit first. Me first time trying sand boarding. The above photo was was me trying sand board for the first time. The local water vendor will coach you and will push you to make sure you have an awesome ride down. In return you need to buy a cold bottled water to him, which is not bad since you will need a water anyway. It is Super hot in there. I am grateful that I can be in this place, enjoying God’s creation with my family and friends. Building wonderful memories together. Me again. Beautiful Red Sand Dunes! Me trying to be a photographer! Who will not be inspired to be a professional photographer if you are in this’s place? To those who loves taking photos, please do come here soon!!! After that They drove us to the fishing village but the tour guides don’t want us to stop there. Maybe they are rushing and also the smell was really bad so I told the driver to just give me a minute to snap some photos of the place. Of course he said yes! Didn’t know what expect in this place but hey it was gorgeous! If we came much earlier we have a chance to ride ostrich but because it’s already almost 6pm so they were closed. The place was a 20 minute walk of fine sand in the shallow waters. My friend says no wonder it’s called fairy stream because you seldom can find a little stream with a fine sand on it. It’s like a big puddle playground for Summer haha. There’s cafe along the way and a mini zoo too. We didn’t manage to try as we have no time anymore. We wish we arrived earlier so we can enjoy this pretty cafe. After fairy stream we drove to the centre of Mud Ne and settled our dinner after that we started our 4 hours journey back to Ho Chi Minh. We reached before 12 midnight. It’s been a long day but I’m grateful for the experience! Next postWhy are you travelling? 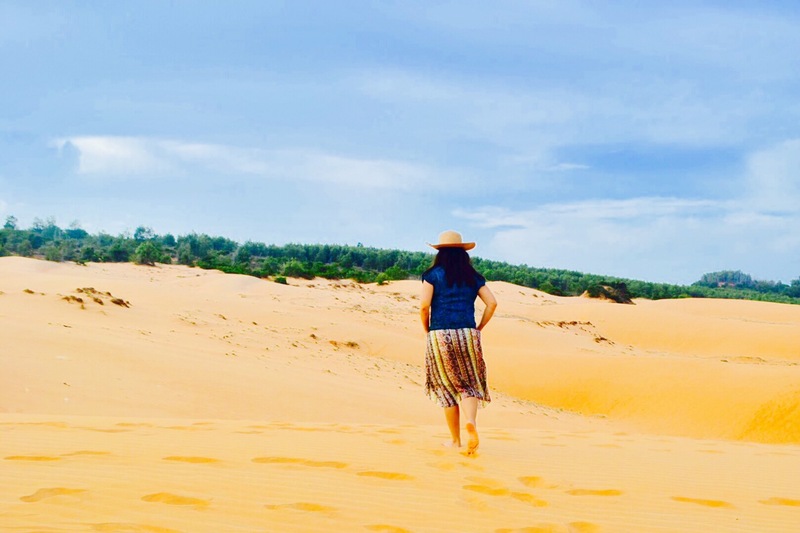 Sandunes is 😍 I have experienced sandunes here in 🇵🇭 Did not know there is one in vietnam too. Will definitely be here soon! Wow, I wouldn’t have expected that kind of scenery in Vietnam. It’s beautiful. YES IT IS! Thanks for dropping by! Oh the sand dunes look awesome! i have been to the fairy streams which look quite cool too. And omg the food looks amazing. 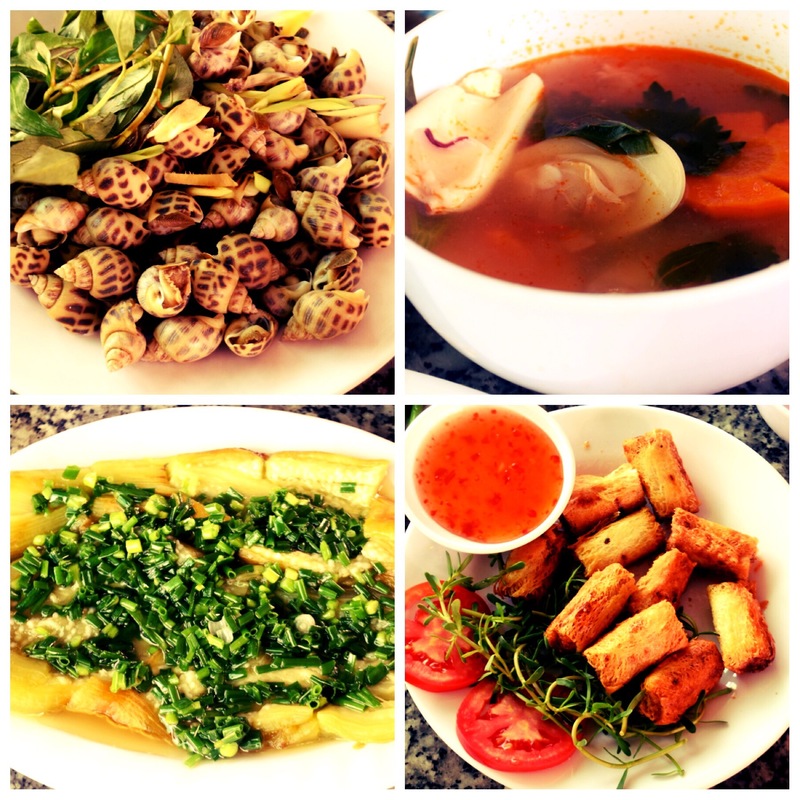 I’m very much in love with Vietnamese food!!! 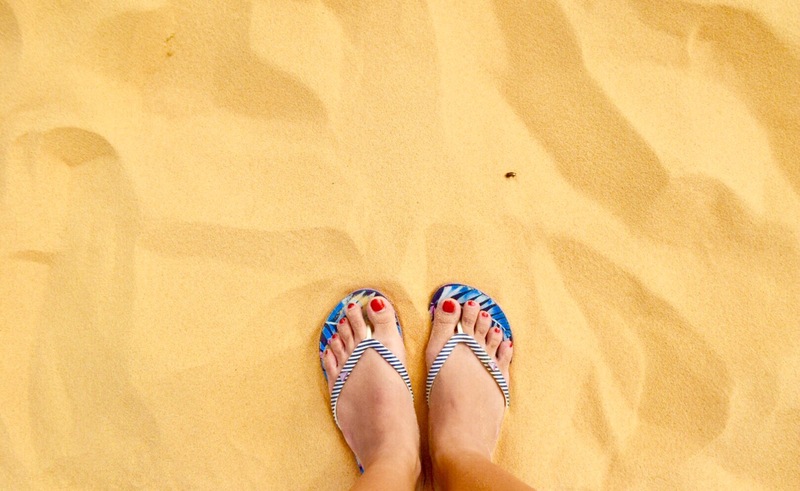 I love all of your photos and what beautiful sand! My husband and I visited Vung Tau in 2012. He had not been back to Vietnam since he was there during the war. It left him very unsettled but when he revisited he was glad that he did and enjoyed his time. We will be visiting again. This looks like a really beautiful place and a great time with family! Oh, welcome to Vietnam! 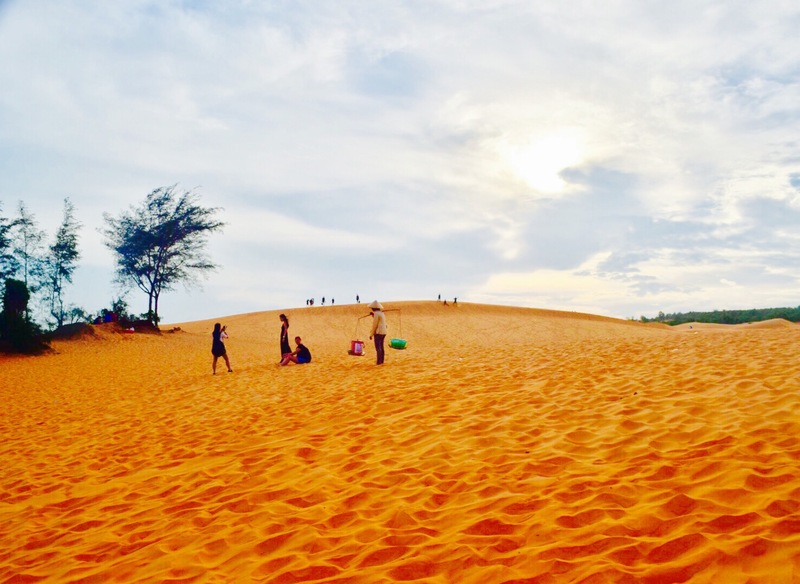 It seems that you enjoy your day trip to Mui Ne. 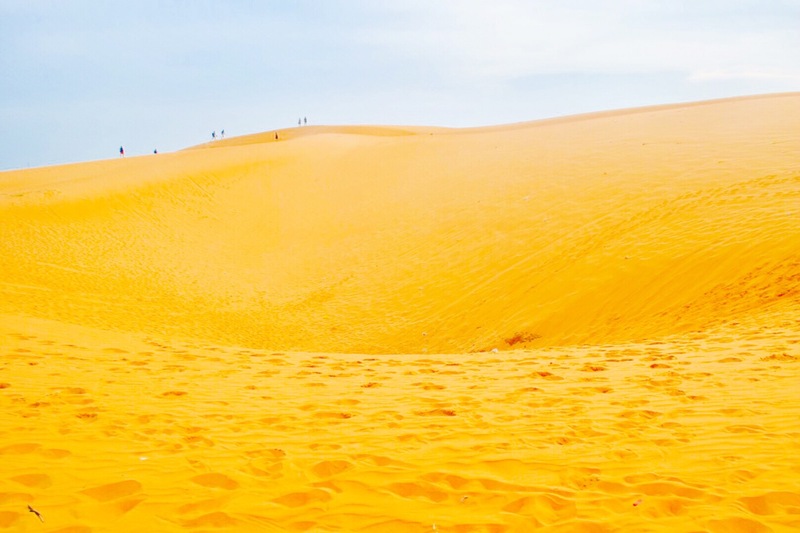 It is ideal that you should spend 3 days to explore Mui Ne.